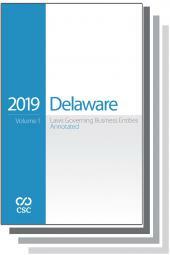 CSC brings you Delaware Laws Governing Business Entities, Spring 2019 Edition. This annotated deskbook helps you to conduct research more effectively, complete transactions more efficiently, and better advise your clients. 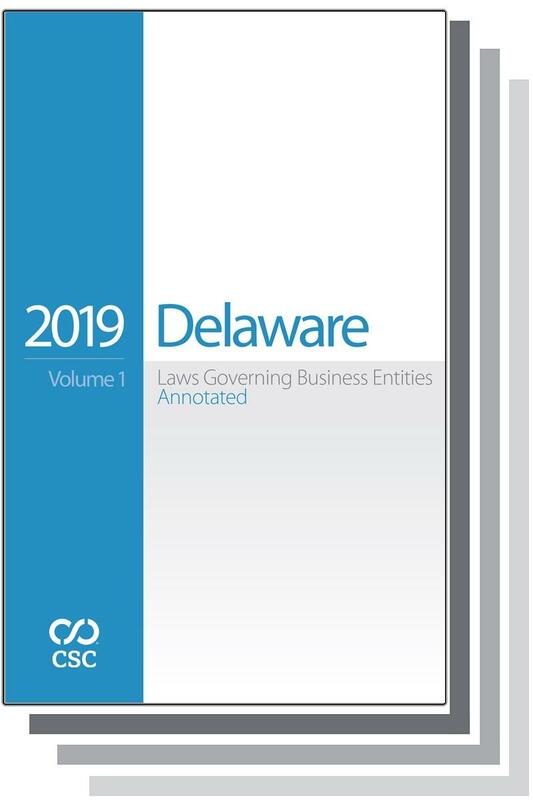 CSC brings you Delaware Laws Governing Business Entities Annotated, Spring 2019 Edition. This portable, easy-to-search deskbook helps you conduct research more effectively, complete transactions more efficiently, and better advise your clients. 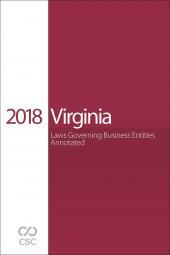 Volume 2 features case notes from state and federal courts across the country interpreting Delaware business entity law. 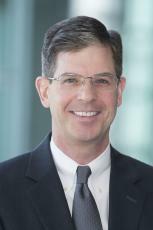 Mr. Robert L. Symonds, Jr. is a partner in the Business Group of Potter Anderson Corroon LLP. He focuses his practice on corporate and business transactions, particularly the structure and use of Delaware business entities, including Delaware corporations, limited liability companies, partnerships and statutory trusts. He often serves as Delaware counsel to lenders, borrowers, investors, managers, trustees and other parties in domestic and international business transactions. His practice frequently involves providing third-party legal opinions as to matters of Delaware corporate law, Delaware alternative entity law and other applicable law. In addition to being one of the original drafters of the Delaware Limited Liability Company Act, Mr. Symonds is a former chairman of the drafting committee responsible for amendments to that statute and to the Delaware Revised Uniform Limited Partnership Act and the Delaware Revised Uniform Partnership Act. He also is a member of the drafting committee for the Delaware Statutory Trust Act and is one of the principal drafters of the Delaware Revised Captive Insurance Company Act and the Delaware Insurance Company Mutual-to-Stock Conversion Act. In addition, he serves as a member of the legislative drafting committee of the Delaware Captive Insurance Association. Mr. Symonds is a former chair of the Delaware State Bar Association’s Commercial Law Section, which monitors and recommends changes to Delaware’s business and commercial laws. He has frequently appeared before the Delaware Legislature to provide testimony on proposed Delaware legislation and related matters. Mr. Symonds is co-author of the law treatise Symonds and O’Toole on Delaware Limited Liability Companies, published by CSC/LexisNexis. 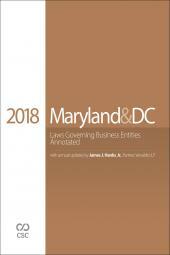 His articles on amendments to Delaware’s corporate and alternative entity statutes and the Delaware UCC are published regularly in CSC’s Delaware Laws Governing Business Entities. He is the author of a number of publications and guides that serve as references to both business professionals and legal advisors who participate in transactions involving Delaware business entities and has spoken at numerous seminars on topics of Delaware law. Mr. Matthew J. O'Toole is the Chair of the Business Group of Potter Anderson Corroon LLP, and a member of the firm's Executive Committee. He concentrates his practice on corporate and business transactions, particularly the structure and use of Delaware business entities, including corporations, limited liability companies, partnerships (general and limited) and statutory trusts. He often serves as counsel to lenders, borrowers, investors, managers, trustees and other parties involved in both domestic and international business transactions. His practice frequently involves providing third-party legal opinions concerning Delaware’s General Corporation Law, Delaware’s alternative entity statutes, the Delaware UCC and other applicable law. Mr. O’Toole is the immediate past chairman of the Council of the Corporation Law Section of the Delaware State Bar Association. He also sits on the drafting committee responsible for the Delaware Limited Liability Company Act, the Delaware Revised Uniform Limited Partnership Act and the Delaware Revised Partnership Act. Matt has served previously on other committees established by the Council, including the Technology Update Committee, which undertook a comprehensive review of Delaware’s General Corporation Law to study and recommend changes to that statute to accommodate current technology. He is one of the principal drafters of the Delaware Revised Captive Insurance Company Act and the Delaware Insurance Company Mutual-to-Stock Conversion Act. He also serves on the legislative committee of the Delaware Captive Insurance Association. 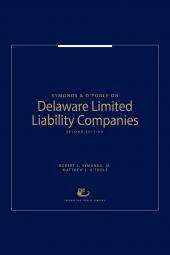 Mr. O’Toole is co-author of Symonds & O'Toole on Delaware Limited Liability Companies, published by CSC/LexisNexis. 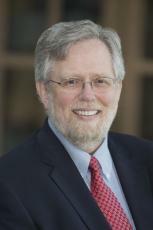 His articles on amendments to Delaware’s corporate and alternative entity statutes and the Delaware UCC are published regularly in CSC’s Delaware Laws Governing Business Entities and he is author of the “Delaware Limited Liability Company Practice Guide,” in State Limited Liability Company & Partnership Laws, published by Aspen Law & Business. In addition, he has written a number of other publications and guides that serve as references for both business and legal professionals.